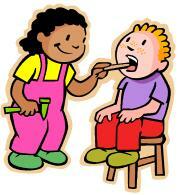 ​Troy Pediatrics is your home of compassionate care for your children from birth to adolescent years. Troy Pediatrics' professional staff care about the health and well being of your children and go the extra mile to insure good health for them. Whether you need to bring your children to our clinic for a regular health check-up, or for an illness, you will find our staff eager to provide you and your children with the best health service.